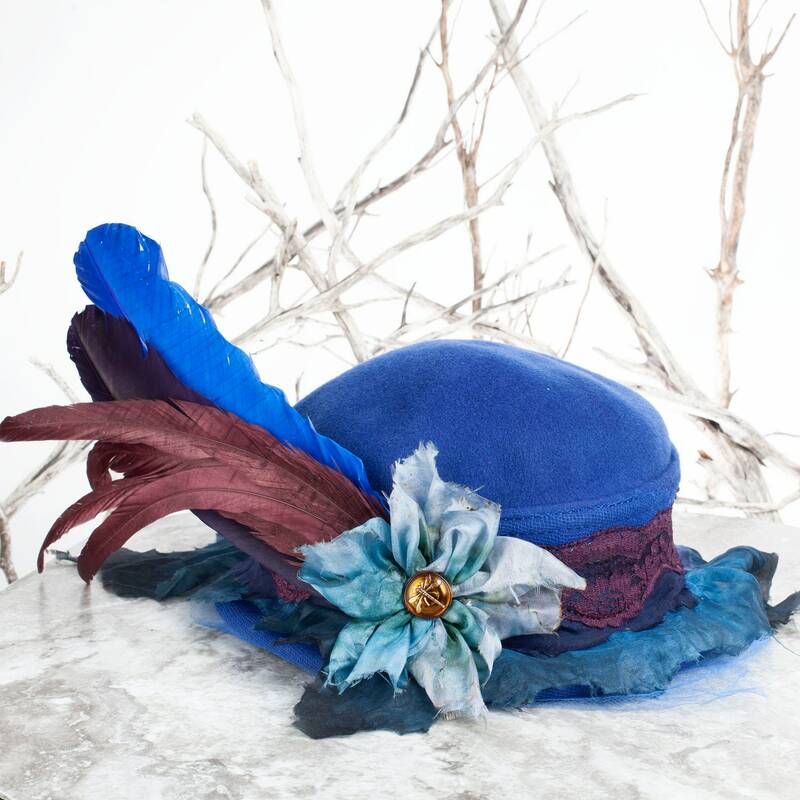 Inside stamp reads Glenover, Henry Pollack, Wool Felt and a 2nd Tag States Union Made with a serial number. 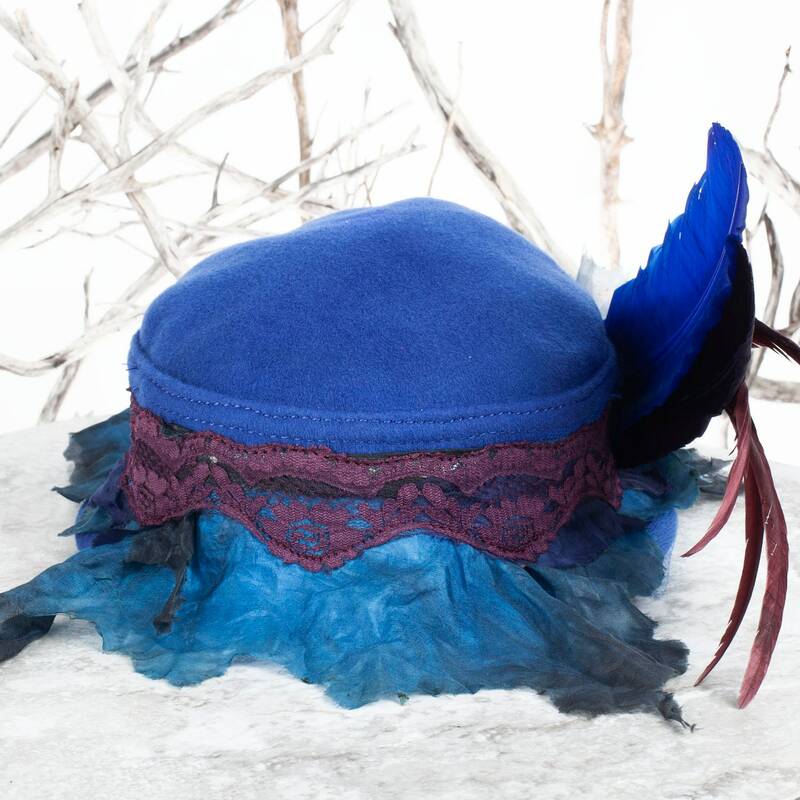 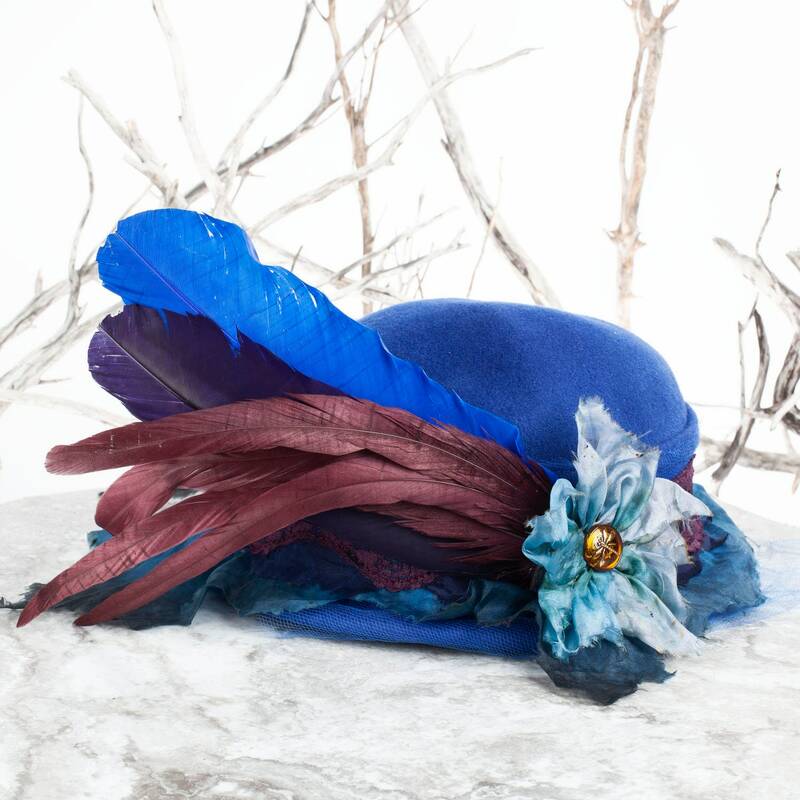 Adorable Royal Blue colored Vintage Wool Felt Hat, upcycled to look more like a bowler/pork pie style hat. 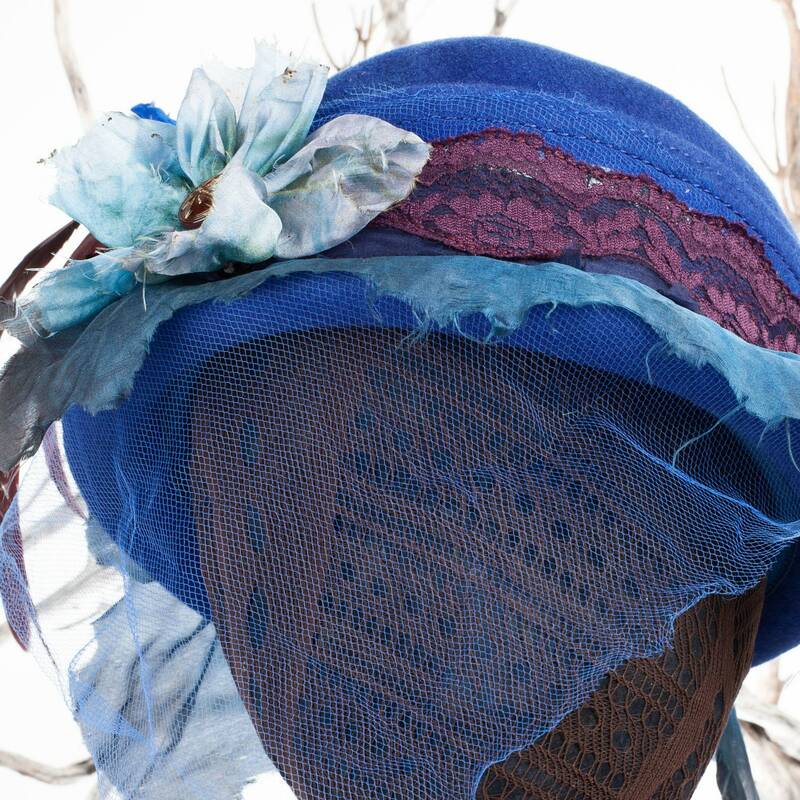 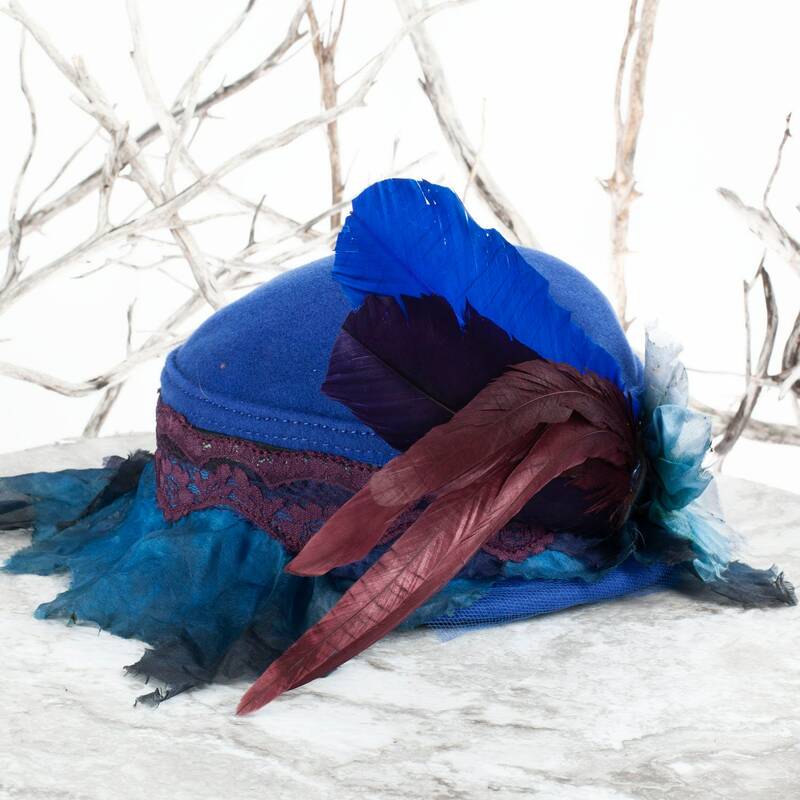 This hat has been beautifully up-cycled back to life! 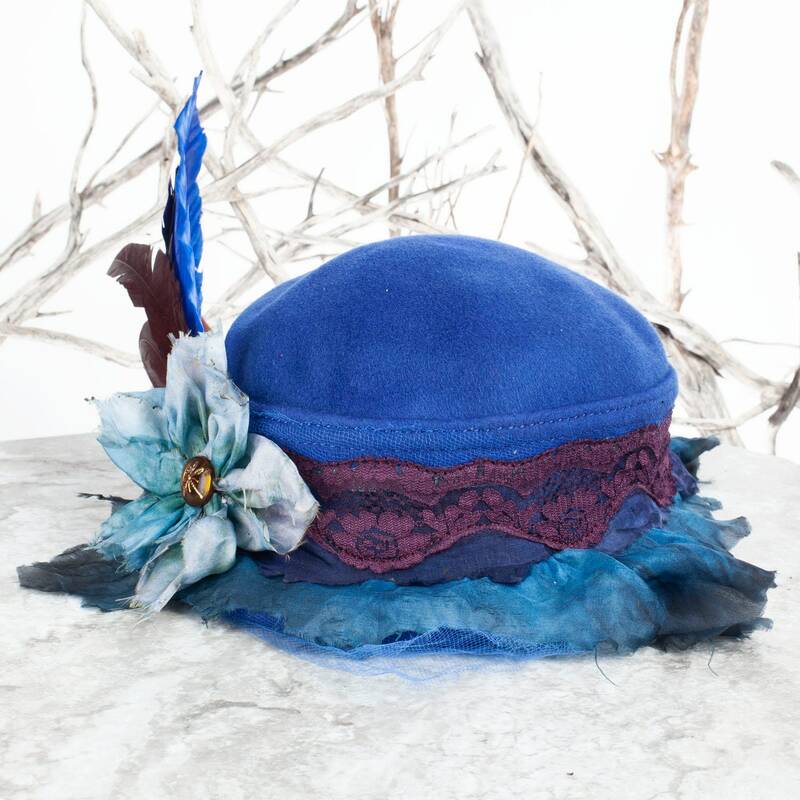 I take vintage felt hats that have lost nearly all their magic and revive them. 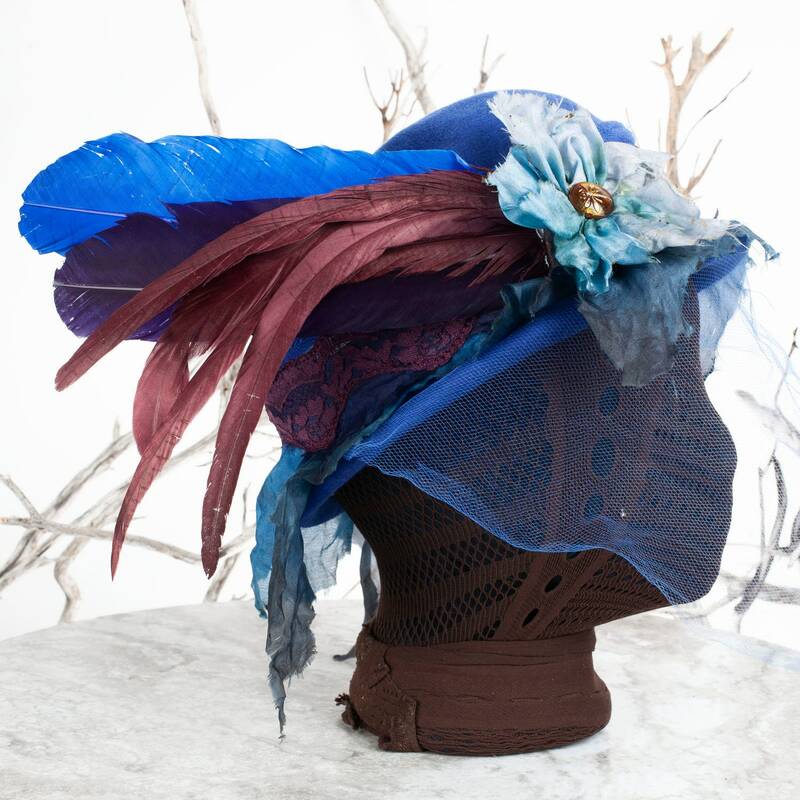 This darling has assymmetrical netting that covers the face, hand dyed burnt edge silk fringe, muted burgundy purple lace, matching feathers and silk flower. 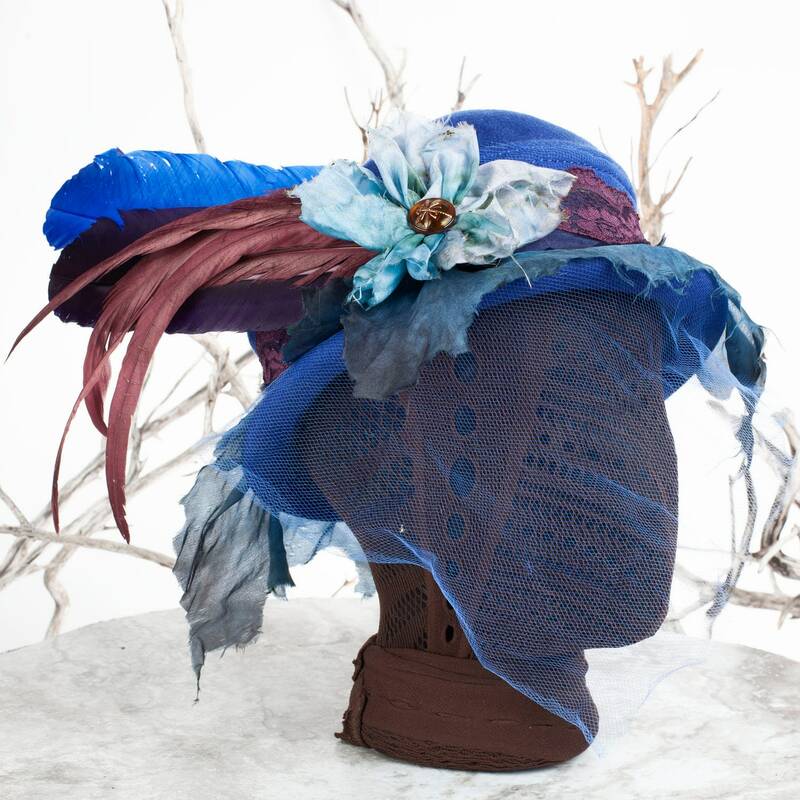 This hat is very Mary Poppins! 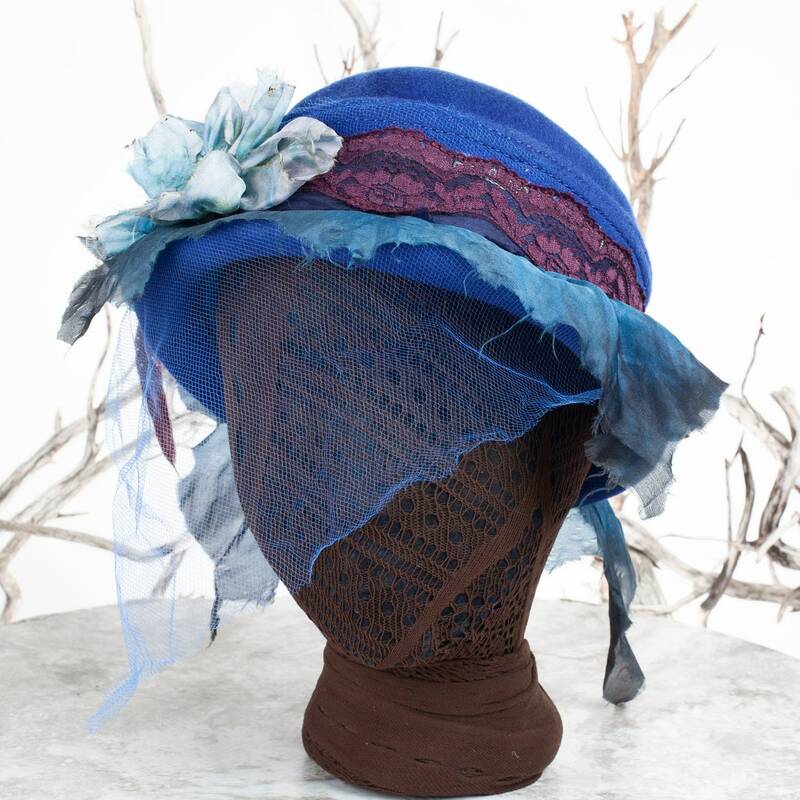 A fantastic hat for your collection! 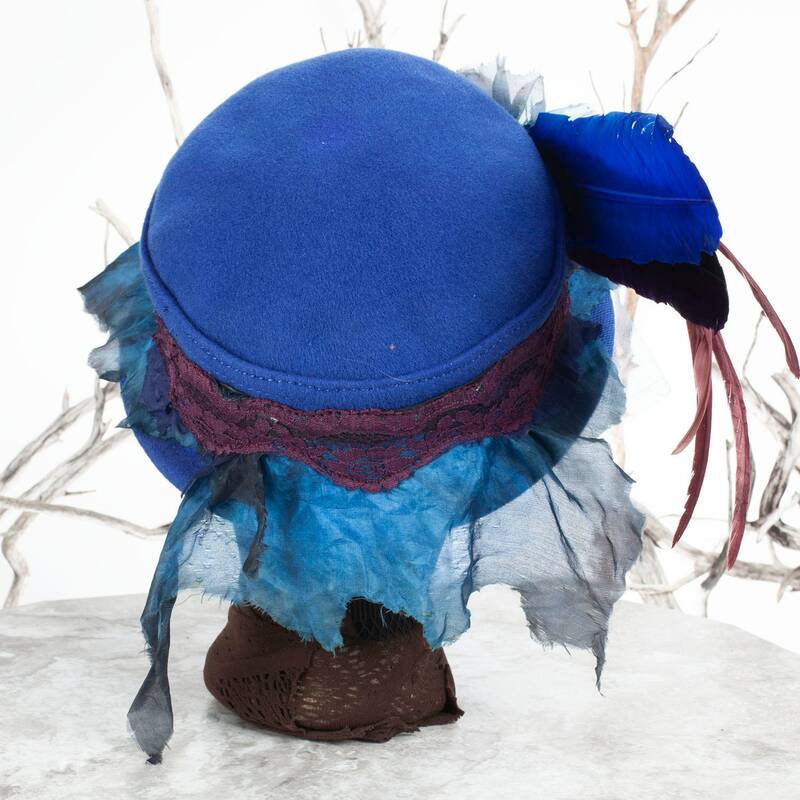 Lovingly rescued and upcycled into a One of a Kind piece, just for you.